Travellers have found that the local people are friendly and helpful although communication is difficult unless you can speak some Portuguese. At present the Angolan economy is strong and large projects are under way to rebuild the infrastructure. Cabo Ledo, a popular surfing beach south of Luanda. Calandula Falls, one of the largest waterfalls by volume in Africa. A sandstone canyon near Flamingo River Lodge in the north of the Namib Desert. Christo Rei, a 30m high white marble statue of Jesus Christ. Death Acre is a very popular 4WD Trail. Foz do Cunene, where the Cunene River mouths into the Atlantic Ocean, is a popular landmark. Kumbira Forest Reserve provides a habitat to a number of Angola’s threatened endemic bird species. Lake Arco is a beautiful lake situated within a canyon. 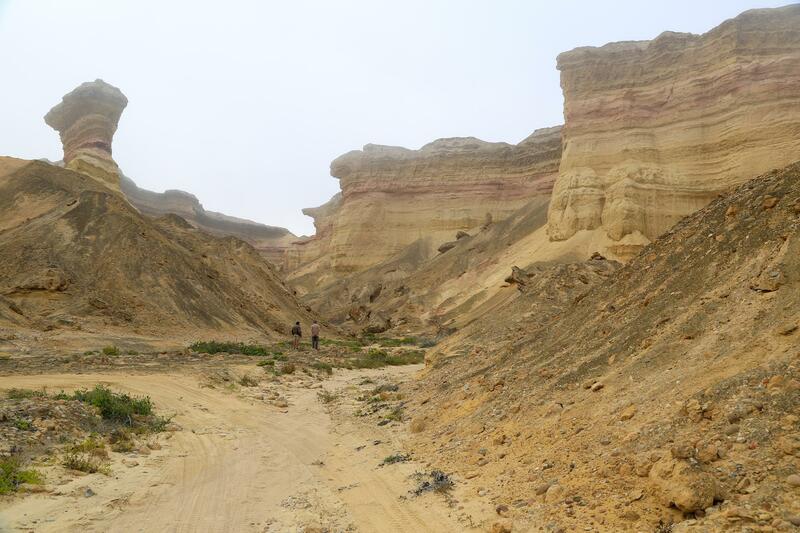 Miradouro da Lua is a beautiful sandstone cliff formation also known as the Valley of the Moon. Mussulo Island is actually a peninsula south of Luanda and a popular escape from the capital. 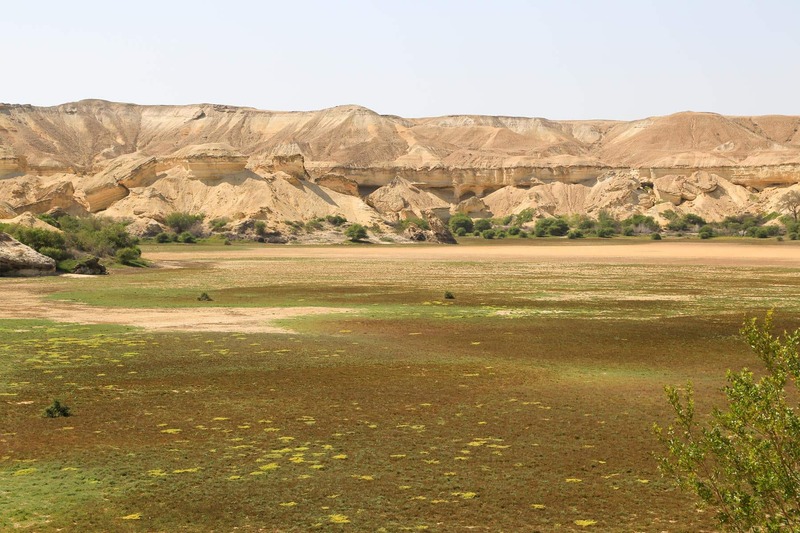 Parque do Iona is the biggest national park in Angola and part of it consists of Namib Desert. Pedras Negras are spectacular black rock formations. Serra da Leba’s hairpin bends. 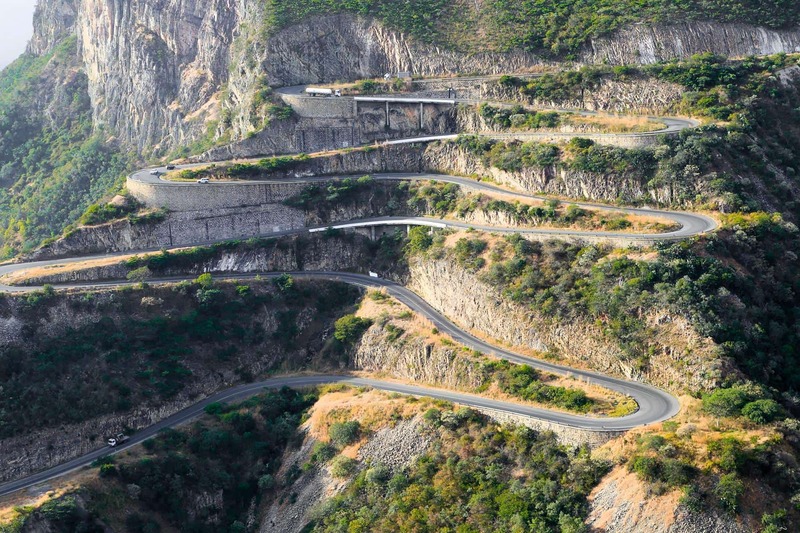 Serra da Leba Pass is a beautiful mountain pass famous for its hairpin bends. The energetic can hike and climb to the viewpoint at the Tundavala Gap on the rim of the Serra de Leba Escarpment. Following the civil conflict, Angola suffers from one of the highest levels of contamination from landmines and unexploded ordnance in the world. Since 2008 international charities were active in aiding the Government to clear mines and although most of the country, more than 870 million square meters, was cleared, travellers should still be extremely cautious when they go off the beaten track. Areas from where mines have not yet been removed are marked with signs (red skull and crossbones) or with red stones. 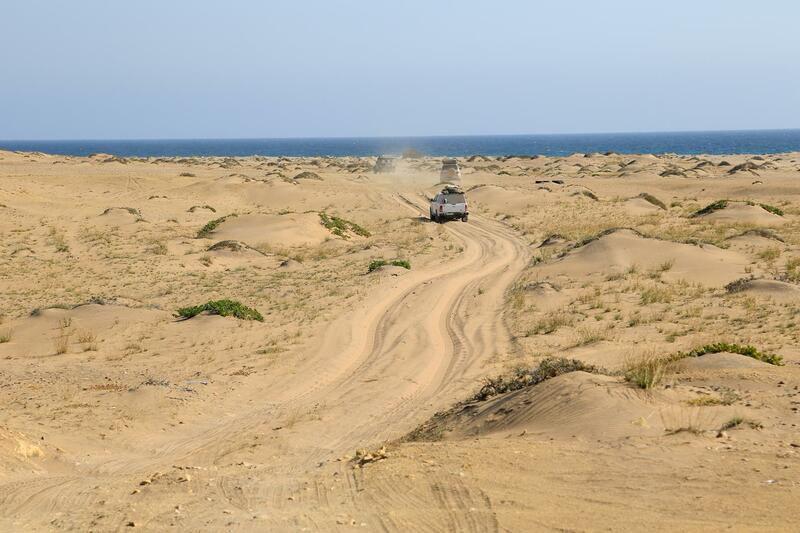 There has been a low level of activity from the Front for the Liberation of the Enclave of Cabinda (FLEC) rebel group in the north of Angola ever since the country’s independence. This movement seeks independence for the Cabinda province from Angola and rebel activity flares up sporadically. However, Cabinda is far from most of the tourist routes. 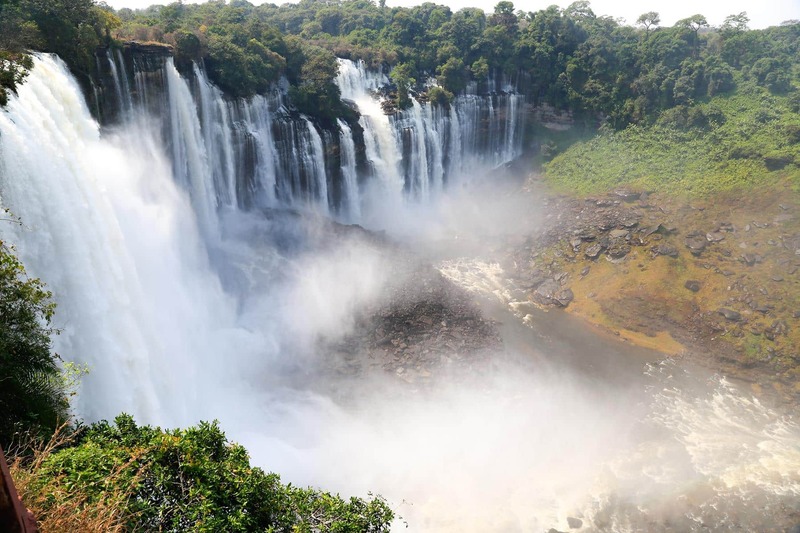 To the present day Angola hasn’t been the most tourist friendly country and visitors find it difficult to obtain visas. Entry visas are required for non Angolan nationals from countries with which Angola has no reciprocal agreement regulating the rights of entry. In effect that means almost all foreign nationalities, apart from visitors from neighbouring Namibia. To apply for a visa you need a letter of invitation or a copy of your hotel reservation with the stamp of the hotel as well as a guarantee of sufficient funds for your stay in Angola by means of bank statements. It is believed that the visa application process will be made more tourist friendly in the near future. You need the original registration certificate (or a certified copy) of your vehicle. Drivers whose vehicles are still financed by a bank, will not have the original vehicle registration document and would have to use the vehicle license papers (from which the renewal disk is cut out annually), or a copy of the vehicle registration certificate, which must be signed by a Commissioner of Oaths. If the car registration number on your registration papers is not the same as on the vehicle number plate (for instance if it was pre-owned) you must also present the registration paper from which your license disk was cut out. If you are not the registered owner of the vehicle (i.e. either it is still being financed by the bank, you are renting a vehicle or you are driving a friend’s vehicle), you must have a letter from the financial institution, company or friend giving you authorization to take the vehicle across the border. This letter must stipulate dates for which you are allowed to take the vehicle out of the country and must also be signed by the owner or bank and a Commissioner of Oaths. Three colour photos of your car (front, back, and side) printed on an A4 sheet. It is advisable to keep the letter of invitation or hotel reservation with you, in case the immigration officer wants to see it. You will have to get a Temporary Import Permit (TIP) and local Third Party Insurance at the border. Travellers are allowed to take a maximum of 50 000 Kwanza and USD 10 000 into Angola. When you leave you are allowed to export maximum 50 000 Kwanza and USD 10 000 (children below 18 years are allowed USD 3 000). You must have a driver’s license that is valid in your country of residence or an International Driver’s License. Make sure your vehicle documentation is carried with you at all times when driving, as traffic officers will expect to see it if they stop you. All foreign registered vehicles must display their international license plate country code (bold block letters in uppercase on a small white oval plate or sticker) near the number plate on the rear of the vehicle. You must have a reflective emergency jacket in the vehicle. You must have two warning triangles. You must have a fire extinguisher in the vehicle. Much of the road infrastructure in Angola was destroyed and neglected during years of conflict, and despite efforts to rebuild it, many of its roads are still riddled with potholes and erosion, especially during the rainy season which is from October to March. Some roads are impassable at that time. 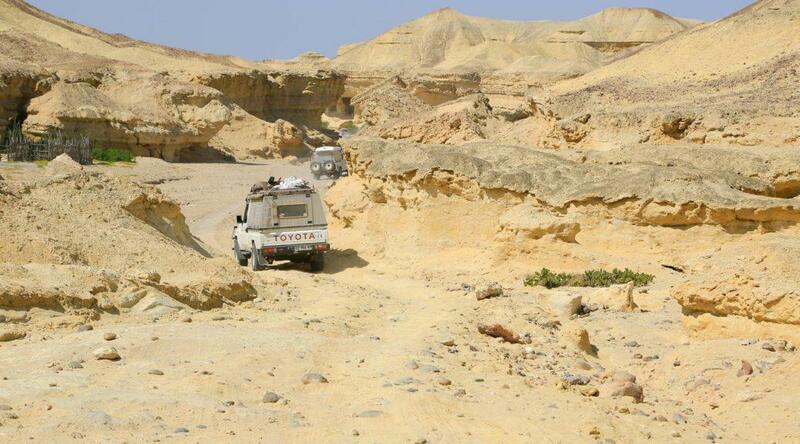 Most of the main connection routes have been tarred but many of the secondary roads in Angola can’t be negotiated without a rugged vehicle. A 4WD is rarely needed on the busier roads in the west during the dry season but is required for the secondary roads during the wet season. External factors like wandering livestock and heavily overloaded vehicles mean that one should always expect the unexpected. Local drivers, and especially the poorly maintained blue and white taxis or buses, are renowned for reckless and aggressive driving. There also are many motorbikes on the roads. Buses and heavy vehicles cutting into the oncoming traffic at high speed are a great danger, especially since the road shoulders are very narrow. Avoid the south-west of Angola during the rainy season as you might get stuck in the black cotton soil. For safety reasons you should not leave valuables on display in your vehicle or park your car in the street at night. Foreigners can drive in Angola using their domestic driver’s licenses for one month only, during which time they should apply for an Angolan driving permit if they wish to stay longer. There are no toll roads in Angola. Luanda’s traffic is extremely congested and traffic lights are often out of order. It is best to park and explore the city on foot. Most traffic officials are friendly and you should not encounter problems if your paperwork is in order and you are patient and polite. Every town entrance has a police checkpoint but the officials are also usually very friendly and take an interest in tourists. Fuel is cheap in Angola but there are a limited number of service stations and the queues are lengthy. They are all open from 08:00 to 16:00 whilst only some stations in major cities and on the highway are open 24 hours. Fill up prior to weekends in Luanda as locals empty the filling station tanks into yellow plastic containers over weekends, which they then sell next to the road at black market prices. Take a fuel funnel/filter with you to filter impurities and water out of diesel. In some cases paraffin is added to the fuel. If you suspect this, add 200ml of two-stroke oil per tank of diesel to help prevent damage. Electronic paypoints are not always operational therefore you should always be prepared to pay for fuel with cash. Wow! This road trip looking awesome really awesome. any advice on 4wd rental companies in luanda? Michiel, I have posted your question on our forum, but have not had any feedback that will help you, but one forum member said “Expect to pay ! Don’t know about Luanda but double cabs in Moz rent at like $250 per day”. Try asking on the http://www.4x4community.co.za/forum/. Thanks ! Very useful info, as we are on our way there. Wauw, what a useful – and complete – advice! Thanks.